The ongoing “Cartoon Crisis” raises several issues. One of the most important is the incumbency of seeing the ongoing crisis as an opportunity to educate people in the West about our blessed Prophet, . Along those lines, one of the greatest things we can do is teach about the exalted ethical standard introduced by our Prophet, . That ethical standard is the bedrock of his mission and message. In an age of instantaneous communications and globalized media it is important for Muslims to reaffirm our commitment to the prophetic ethical ideal. Under prevailing conditions, the sensationalized excesses of some Muslims, excesses that contradict the ethical teachings of our Prophet, , are often used to distort the perception of Islam in the West. That distortion in turn helps to create prejudiced attitudes towards Islam and Muslims. I would argue that the images that insinuate a connection between our Prophet, , and terrorism are more informed by the hijackings, kidnappings, beheadings, and cold-blooded murder of unsuspecting civilians, all of which characterize many of our recent political struggles, than to any inherent biases or prejudices among the people of Europe and America. If we Muslims are going to contribute to changing how Islam and our Prophet, , are viewed in the West, we are going to have to change what we ourselves are doing to contribute to the caricaturing of Islam. That change can only be affected by sound knowledge coupled with exalted practice, and reviving the lofty ethical ideal of our beloved Prophet, . You should know that reciprocating vile deeds with vile deeds would only increase vileness. Therefore, the command to patiently endure abusive transgressions minimizes those things that bring harm to the worldly realm. Similarly, the command to remain mindful of God minimizes those things that jeopardize the life hereafter. Hence, this verse combines the etiquettes essential for [success in] this world and the next. It is interesting to note that this verse was revealed after the migration to Medina. Therefore, it was a pronouncement of state policy for the nascent Muslim polity. The strategic benefits of this policy would be realized years later in the bloodless conquest of Mecca. That conquest was made possible in large part because the Prophet, , did not cultivate a spirit of vengeance and retaliation in his followers. Nor did he cultivate in them a deep hatred for the people he was commissioned to call to Islam. It was on the basis of this spirit that he was able to fully accept and welcome into the fold of Islam his bitterest enemies – Abu Sufyan, ‘Amr bin al-‘As, Khalid bin al-Walid, Ikrima bin Abi Jahl, and many others. This group of Qur’anic verses revealed in Mecca also involves consolation for the Prophet, , in the face of his people’s abuse. The gist of this passage is that God will assume the responsibility for taking revenge against his tormentors. The Prophet, , is commanded to turn away from his enemies, leaving God to deal with them. Abu Su’ud, a 16th Century Qur’anic scholar, comments on this instruction, “That is to say, do not pay any attention to what they say, do not be concerned with them, and do not begin to think of vengeance against them.” It is mentioned that these verses were revealed concerning five of the notables of the Quraysh who were especially abusive towards the Prophet, . God dispatched the Angel Gabriel to deal with them and they all died terrible deaths, with the exception of Al-Aswad bin al-Muttalib, who lived, but went blind after Gabriel pointed to his eyes. The Prophet, , is instructed to proclaim the message, to forge on in his work of propagation, and to deepen his devotion and remembrance of God. As for the fate of his enemies, God would deal with them. He would be reminded years later that his actions would never affect the fate of those opposing him. God mentions in that regard, You have nothing to do with the outcome of their affair [O, Muhammad!] Whether He accepts repentance from them, or punishes them, they are indeed wrongdoers. This tradition involves a detailed explanation of a more general description given by ‘A’isha of the Prophet, . She mentioned that his character was an embodiment of the Qur’an. 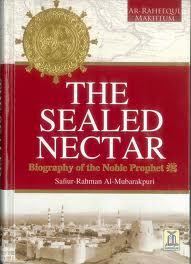 In other words, his character was godly, for the Qur’an is the eternal Speech of God. Here we should pause and reflect on the mission of the Prophet, . 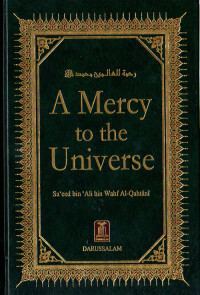 He mentioned, describing that mission, “I was only sent to perfect good character.” Consistent with what we mentioned above, we could interpret the tradition to mean, “I was only sent to make people more godly.” This idea that Islam is a path to godliness has to be stressed in these days when many Muslims view it strictly as a path to worldliness. That worldliness has contributed to the Muslim community, generally speaking, falling ever further down the slippery slope of political expediency. Political involvement is certainly a critical aspect of Islam. However, political expediency cannot provide ex post facto determinants of our values and principles. Those have been determined, a priori, by God. Enduring trials, tribulations, and bearing abuses are the crucibles through which the ability to move towards this state of godliness is forged. Because the Prophet, , is our leader in guiding us to this standard, in word and deed, no one was more tried or abused than he. He could not order anyone to adopt these characteristics, until he himself had adopted them, just as he could not urge the arduous traversing of the obstacles leading to them until he himself had traveled that difficult road. It is by traveling that road that we turn away from the creation and orient ourselves towards the Creator. Not equal are good and evil. Repel [evil] with what is best; you will unexpectedly see one with whom you had enmity become an intimate friend. God commands the believers with patience in the presence of anger; forbearance in the face of ignorant acts; and pardoning when offended. If they do that God will protect them from Satan and subdue their enemies. Not equal are good character traits and vile ones in the reward they incur and the outcome [they lead to]. If you patiently persevere in the face of their abuses and ignorance, leave off pursuing revenge against them, and pay no attention to their foolishness, you merit exaltation in this world, and a great reward in the next. They [your enemies] will merit the opposite. Do not allow their boldness in entertaining vile character traits prevent you from engaging in good ones. No single verse could better embody the spirit of Islamic ethics [Al-Qur’an 41:34]. Not only does it prescribe a lofty course of action, it also shows how that action, far from leading to worldly weakness, is a source of worldly strength and exaltation. However, if one is not in touch with God, one cannot perceive the veracity of His promise, or the scope of His power. Regardless of our perceptions, God has the power to transform our enemies into friends. However, in a worldly sense, we unleash that power through principled, ethically lofty behavior. As the verse after the one being discussed proceeds to remind us, No one is granted this lofty state except those who patiently persevere; and no one is granted it except the possessor of a great portion. […a great portion] of personal virtues and spiritual strength. Preoccupation with revenge only exists because of the soul’s weakness, and its propensity to be affected by external stimuli. When the soul is strong in its essence it is not affected by external stimuli. When it is not affected by such stimuli, it is easy for it to bear abuses and not be preoccupied with revenge.